The first level of Wisdom Healing Zhineng Qigong is Lift Chi Up Pour Chi Down Method. It consists of a series of gentle body movements, synchronized with visualization. The fundamental objective of this practice is to use the mind to release our body’s internal Qi into the universe and then to direct external Qi into our body. 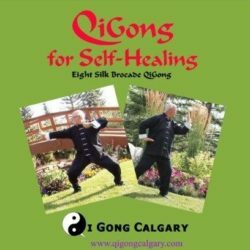 Wisdom Healing Zhineng Qigong was developed in the early 1980s by Professor Pang Ming at a time when the Chinese government encouraged the popularization of Qigong in an effort to reduce medical costs and maintain good health among the Chinese population. Its exercises are relatively easy to learn and very effective and his methods spread rapidly throughout China and the world. 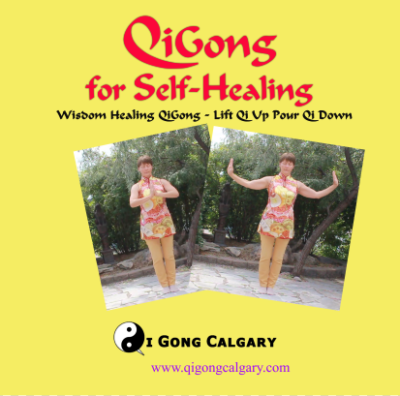 The first level of Wisdom Healing Zhineng Qigong is Lift Chi Up Pour Chi Down Method. It consists of a series of gentle body movements, synchronized with visualization. 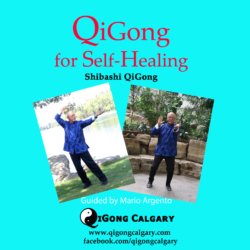 The fundamental objective of this practice is to use the mind to release our body’s internal Qi into the universe and then to direct external Qi into our body. Practicing this method is a relaxing and therapeutic experience. It increases the amount and the quality of Qi within the body, replenishing and renewing the body’s internal Qi. Regular practice of this method can help you to improve overall health, facilitate healing, prevent illnesses, improve mental capacity and emotional wellbeing.